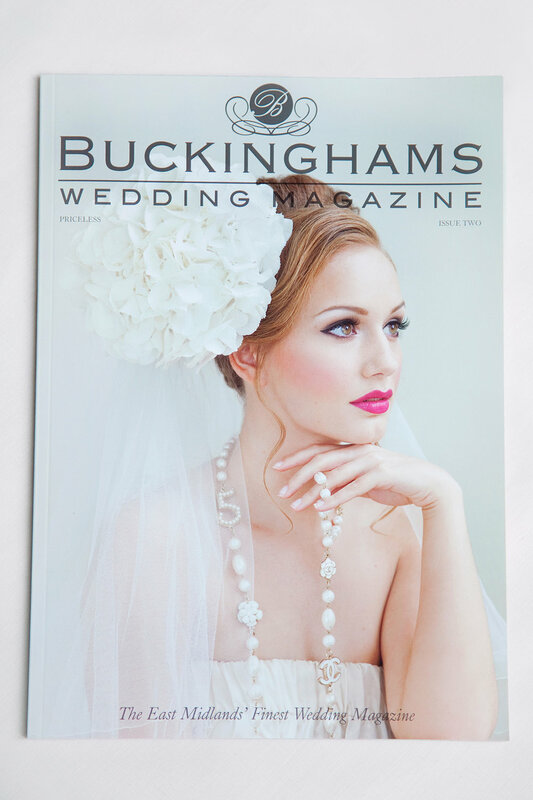 Buckinghams Wedding Magazine is marketed as a luxury brand, available in the John Lewis wedding gift list package, and featuring top advertisers and interviews with some renowned wedding dress designers. For their second issue, Mirror Imaging was asked to photograph the front cover and inside editorial. Following on from this, we were asked to capture natural images at their wedding events, showcasing some of the best wedding creatives across the East Midlands.